Harry Ferrier grew up in Massachusetts and Connecticut. At age sixteen, he lied about his age to enlist in the U.S. Navy. Harry became an aviation radioman and joined his first squadron, Torpedo Eight, in September of 1941. At age seventeen, he flew his first combat mission. He later served with VT-3 and VT-8 again during the Battle of the Eastern Solomons and the defense of Guadalcanal. Harry married just as the war ended, raised two children, and made the Navy his career. He rose from Seaman 3rd Class to full Commander before he retired after the Vietnam War. I was fortunate to interview him in 2000, first over the phone, then in person in Washington State. Harry was one of those Americans who had overcome every imaginable adversity through the course of his life from the Depression and a broken home to crewing a torpedo bomber in the darkest days of the Pacific War when almost all his friends were lost in combat. Getting to know Harry was one of the most inspirational moments of my life. Harry Ferrier at Midway, all of 17 years old in June 1942. At age thirteen, Harry Ferrier’s childhood came to an abrupt end the day his father died of a heart attack. From then on, tragedy and hardship dogged Harry’s young life, setting in motion a chain of events that led him into the midst of one of history’s greatest naval battles. His dad had been the rock of his family. A big, burly welder whose own father had immigrated from Scotland at the end of the 19th Century, Harry’s dad had held his family together in the midst of the Depression with his unflagging work ethic. On the strength of his fourteen hour work days, he kept food on the table and the mortgage current for their tiny house in East Springfield, Massachusetts, despite the fact that he’d lost his right leg below the knee while jumping freight trains as a kid. When he died, the family lost its primary source of income. Harry’s mother, as devoted as she was to her four kids, simply couldn’t pay the bills with the meager wages of her waitressing job. What little savings they had soon ran out. Eventually, they lost the house. It was the spring of 1938, and Harry’s family had become homeless in the depths of the Great Depression. In desperation, Harry’s mother farmed the kids out to stay with friends and relatives. Scattering the family at least kept them all off the street, but the pain of separation inflicted lasting damage on them. While his sisters were sent to live with an aunt and his brother stayed with another family, Harry moved in with his close friend, Dean Mosher. The Moshers kept Harry for the better part of the year in West Springfield while his mother sought to get back on her feet. Tragedy struck the family again. This time, within a few months of his father’s fatal heart attack, both of Harry’s grandmothers died suddenly. Their deaths sent him reeling. He was just thirteen years old, unsure how to process such grief without his remaining family together to offer support. 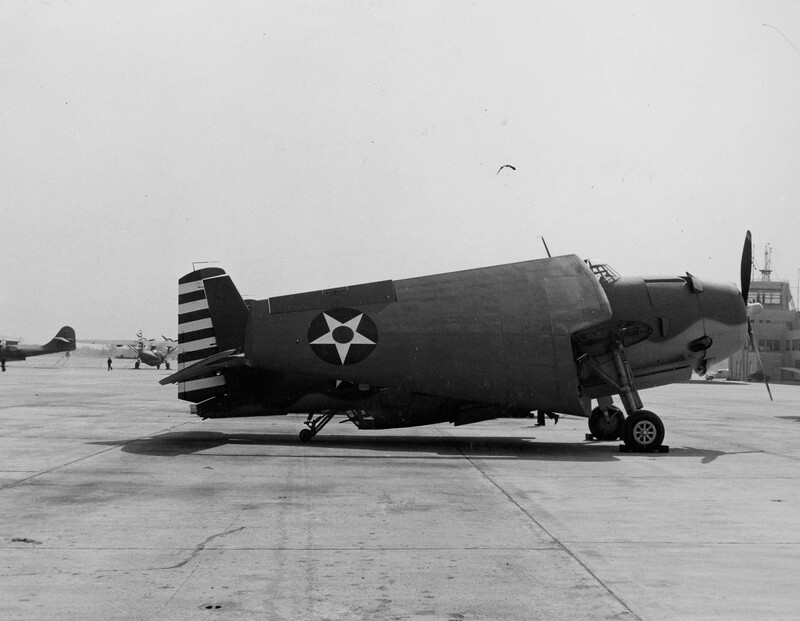 VT-8 received the first operational Grumman TBF-1 Avengers to reach the Fleet. 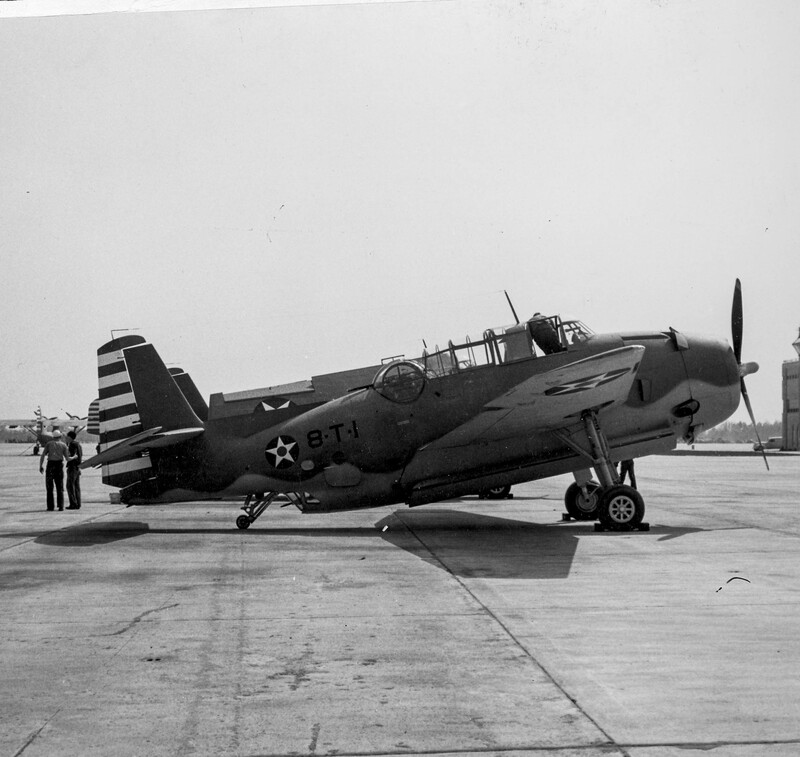 Here is Harry’s aircraft, 8-T-1 at NAS Norfolk at the end of March 1942, just before the squadron was deployed to the Pacific. Once affable and outgoing, Harry he withdrew into himself. He became solemn and serious and kept the rest of the world at arm’s length. That fall of 1938, his mother returned to get him. Harry was shocked by the change in his mother. At five foot one, she had always been a heavy woman, but in the space of about eight months, she’d lost 50 pounds. She looked gaunt and haunted. Unable to make a good enough living for her children on her own, Harry’s mom married a bartender named Tracy. When the family reunited, it was at his home in East Hartford, Connecticut. There, he discovered his new step-father had a son of his own, an older boy nicknamed “Stub.” Stub was a bully who made Harry’s life even more difficult. Fortunately, Stub stayed with them for only a short time before joining the Navy . Later, Stub would be dishonorably discharged after going AWOL during World War II. Life never got better for Harry’s family while in East Hartford. Tracy, a broad-shouldered, rough Irishman, had never amounted to much. He drank heavily and lashed out at his family. Verbal abuse was common. Later, he started getting violent. Another shot of 8-T-1 at Norfolk. March 26, 1942. Even when Harry’s mom became pregnant with the first of four more children, the drinking and abuse didn’t stop. Daily life, hard enough in those days when the country was still trapped in the Depression, became a struggle for survival. Harry began looking for a way out; somehow he had to escape from his step-father and the sense of hopelessness at home. For two years, he endured and waited until he could finally make his escape. At age sixteen, Harry finally settled on his getaway method—the United States Navy. Unfortunately, he couldn’t join up until he turned seventeen, but Harry didn’t think he could last another year at home. Things were getting so bad, he had to get out–or give in. The TBF was to replace the TBD Devastator, which still equipped most of the USN’s torpedo squadrons that spring. As a result, VT-8’s performance at Midway was to be closely watched to see how the new Grumman would perform in combat. So he doctored his birth certificate, changing his date of birth from 1925 to 1924 with careful work at a friend’s typewriter. Officially, anyway, he was now seventeen. He presented himself to the Navy recruiter, who gave him a small mountain of paperwork for he and his mother to fill out. Since he was not yet a legal adult, his mother needed to give her consent for him to join up. She signed the papers, perhaps knowing that this was indeed Harry’s one chance to escape from their harsh existence. Also, with more babies on the way, his departure meant one fewer mouth to feed. When Tracy found out what Harry wanted to do, he offered to help him gain some weight so he could pass his physical. At the time, Harry weighed less than 110 pounds, which barely qualified him for the Navy. To “fatten” him up , Tracy bought Harry a case of beer and ordered him to drink it. A short time later, in February of 1941, he passed his physical and became a Seaman 3rd Class destined for aviation radio school in Jacksonville, Florida. He’d made good his escape—but what he had escaped to? As dawn broke over Midway Atoll, Radioman 2nd Class Harry Ferrier sat in his assigned TBF Avenger torpedo bomber, 8-T-1, waiting for battle. 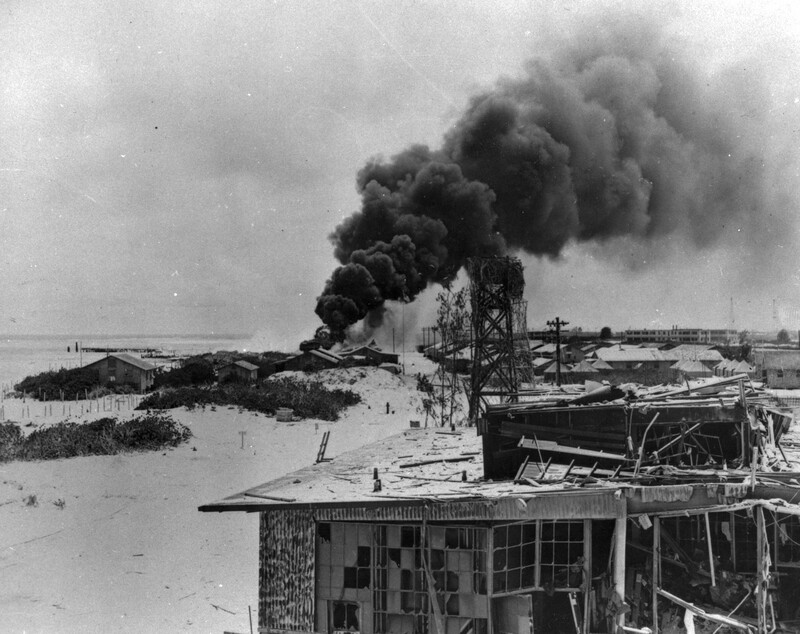 Midway after the Japanese air attack on the morning of June 4, 1942. Harry watched the sunrise in contemplative silence. Two days before, Lieutenant Langdon Fieberling had called all the crews from Torpedo Eight together to tell them the gravity of the situation. The Japanese fleet—not some of it, all of it, was bearing down on Midway from the northwest. The Japanese planned to knock out Midway’s defenses with air attacks, then storm the beaches with the Emperor’s best troops—a brigade of Imperial Marines. They had to be stopped. And to do it, the Americans had scraped together 52 combat planes and sent them to Midway’s airfield. Off the atoll’s northern beaches, three of the Navy’s precious aircraft carriers now lay in ambush, counting on the element of surprise to make up for their lack of numbers. The Japanese were coming with the fury and might that had laid waste to Pearl Harbor only six months before this calm spring morning. Admiral Chuchi Nagumo’s four fleet carriers composed the heart of Japan’s naval strength, for their 300 aircrews were the best trained, most experienced combat pilots in the world. 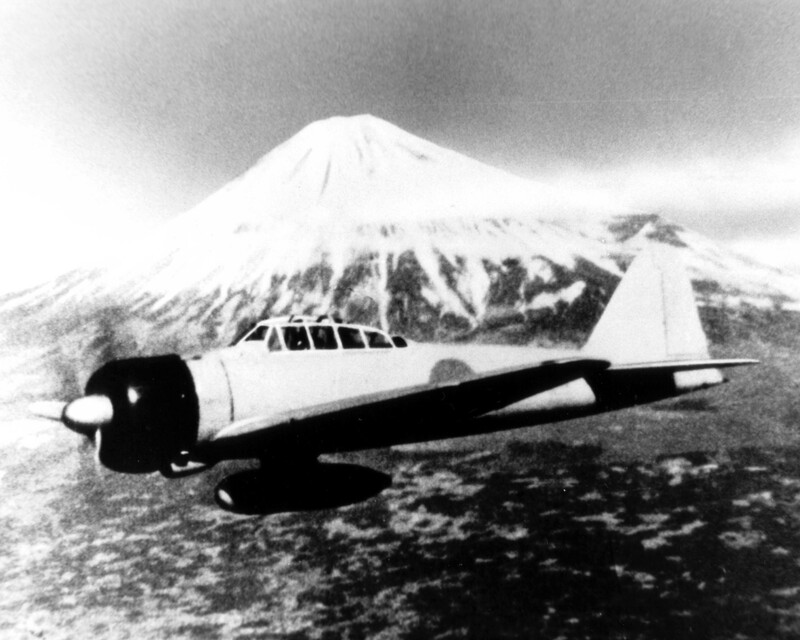 And, in the Mitsubishi A6M2 Zero, those pilots had the best fighter aircraft in the Pacific. Harry’s squadron, Torpedo Eight (VT-8) possessed six new Grumman TBF Avengers. These aircraft had never been in battle before. In fact, back in February of ’42, Torpedo Eight had been split into two groups. The main part of the squadron left Norfolk, Virginia aboard the USS Hornet, an aircraft carrier now somewhere to the north of Midway. 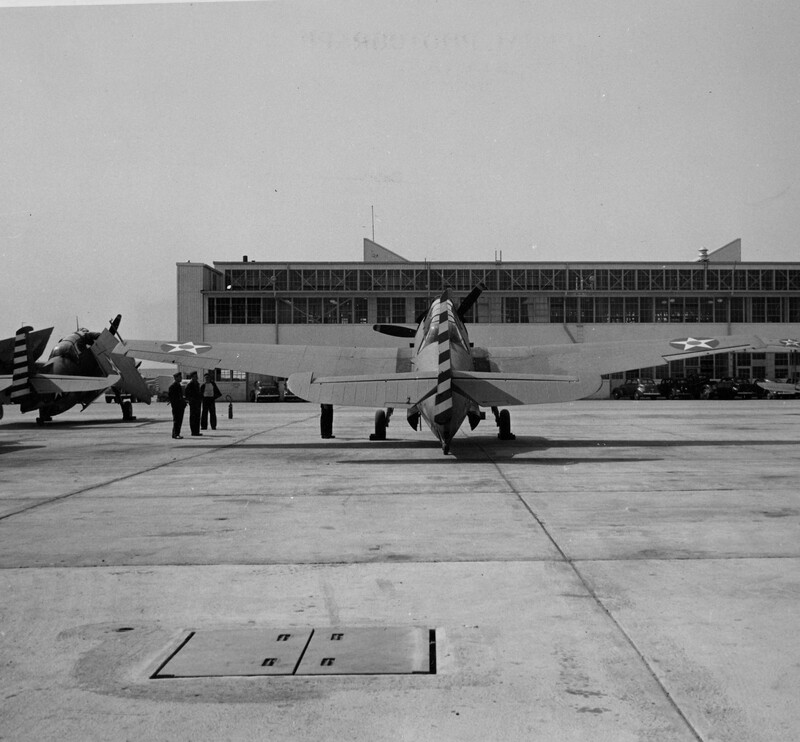 The rest of the squadron—Harry included—remained behind at Norfolk to work up with the factory-fresh Avengers then just starting to arrive from Grumman’s plant on Long Island. It was a sign of desperation that their six untested planes had been urgently ordered to Pearl Harbor in May, and then from there on to Midway. Harry’s det reached the island on June 1st, just ahead of the coming onslaught. While the VT-8 det at Midway attacked the Japanese carrier fleet, the rest of Torpedo 8 flew off the USS Hornet and was wiped out by Zero fighters and anti-aircraft fire. 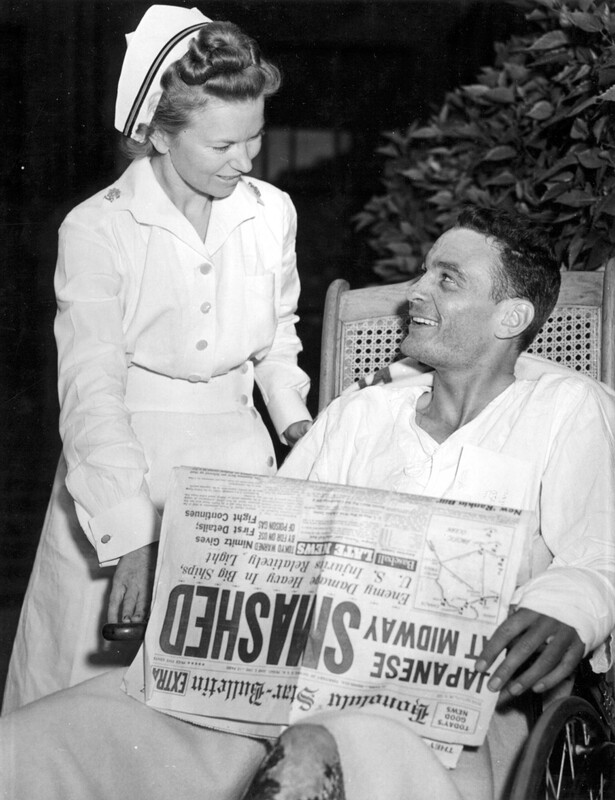 Ensign George Gay, seen here in Hawaii after the battle, was the lone survivor from the squadron’s 14 TBD crews that launched from the Hornet that morning. Harry Ferrier was seventeen. He couldn’t drink liquor, nor could he vote in his hometown elections. But here he was, ready to defend his country no matter how daunting the odds. Next to him in the cramped confines of the cockpit, Jay Manning fidgeted restlessly. The wait was starting to get to him. Jay was only a little older than Harry. A twenty year old native of Washington, he had been trained to operate the Avenger’s dorsal turret. It would be Jay’s job to keep enemy fighters at bay while their pilot, Ensign Bert Earnest, made a wave top-level torpedo run on a Japanese warship. Harry would operate the plane’s radio as well as man the single .30 caliber machine gun jutting out of the Avenger’s belly just under the tail. None of the men sitting in 8-T-1 had ever seen combat. Only a few weeks before, they made their first live torpedo drop off Rhode Island. From those practice runs, they had learned that delivering a torpedo took extraordinary skill. Bert Earnest would have to keep the plane under 200 mph and lower than 150 feet flying absolutely straight when he released the weapon from the Avenger’s bomb bay. If those conditions weren’t exactly met, the torpedo would porpoise or careen out of control. It was difficult enough to make a successful drop during their training runs, doing it while the Japanese shot at them was sure to be even more of a challenge. Bert started the Avenger’s enormous Wright-Cyclone R-2600 engine. All around them, engines turned over and sputtered to life as Midway’s tiny air force scrambled to get aloft. Somewhere nearby, another Massachusetts native named Sumner Whitten was just starting his own VMSB-241 SB2U Vindicator dive-bomber. Whitten’s Vindicator would be the last plane to take off from Midway before the Japanese attacked. Harry’s would be among the first. The strike would be bookended by New Englanders. The aircraft from Midway were supposed to attack in concert. Lieutenant Fieberling’s six Avengers would coordinate their torpedo runs with four Army twin-engined B-26 Marauders. As they made their low-level attacks, the planes from VMSB-241 were to whistle down on the Japanese and deliver their bombs from a 70 degree dive. And, as the grand finale, a group of high-flying B-17 Flying Fortresses would pepper the Japanese ships with strings of bombs dropped from 20,000 feet. 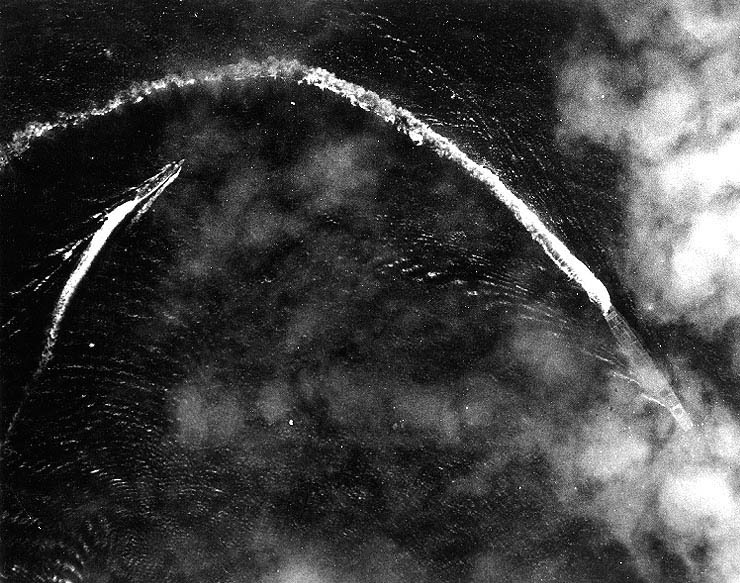 The Japanese fleet carrier Akagi under attack by Midway-based B-17 Flying Fortress bombers during the morning of June 4, 1942. The plan to fell to pieces almost the minute the mission began. In the mad scramble to get aloft, none of the squadrons joined up. Instead, each unit went out towards the Japanese fleet on its own. The attack would be made in drips and dribbles, instead of the single hammer-blow envisioned. As 8-T-1 climbed away from Midway, a lone Japanese plane suddenly dropped down on them and went right through their formation. As it zipped away towards the atoll, a knot formed in Harry’s stomach. Over the horizon, the Japanese were waiting for them. From his dorsal turret, Jay Manning looked out behind them and saw Midway getting attacked by scores of Japanese planes. They had arrived over the islands just as Sumner Whitten began his take-off roll down the runway. The American strike group had missed being caught on the ground by only a few minutes. 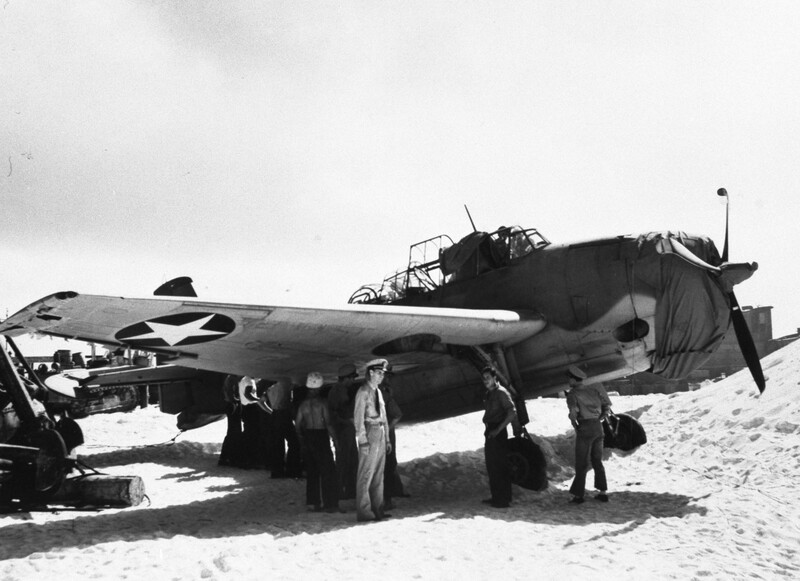 Survivors of VMF-221 and the other Marine air units, seen at Midway at the end of June. 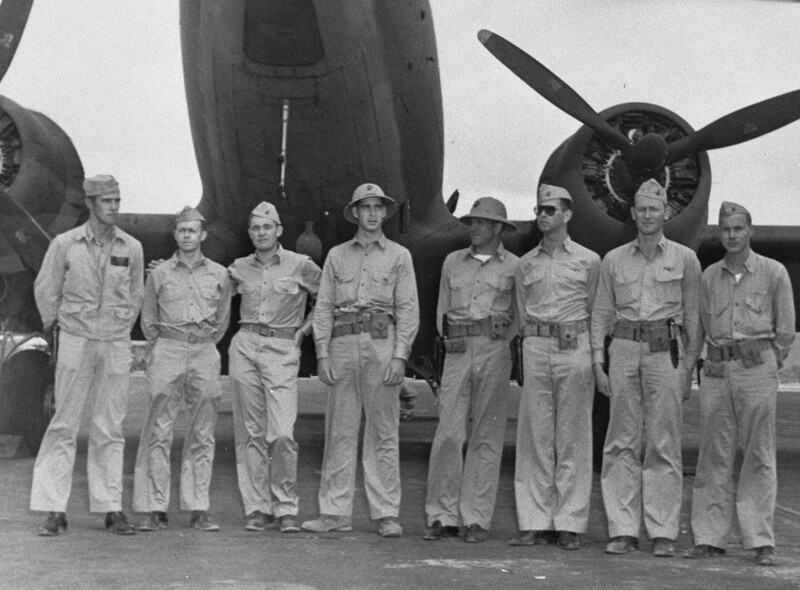 At far left is Marion Carl, who later became the first Marine Corps Ace while flying from Guadalcanal. They wouldn’t have fighter cover. 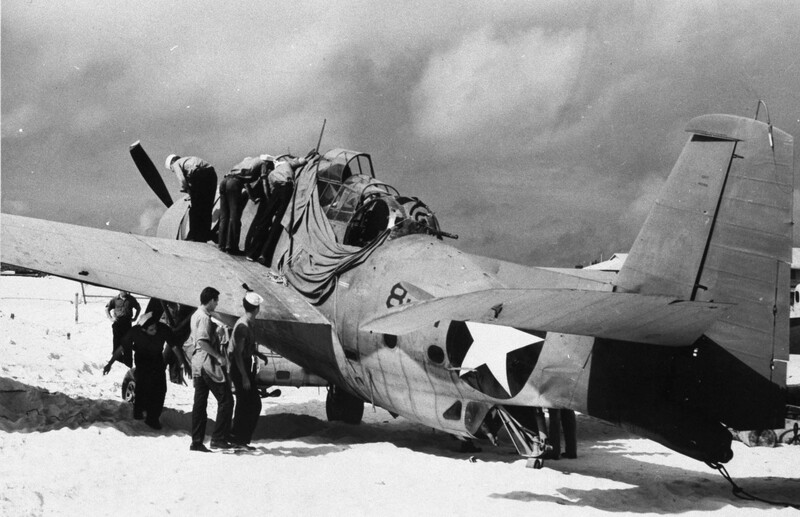 The lone fighter squadron on Midway, VMF-221, had flung its 25 obsolete Buffaloes and early-model Wildcats at the incoming Japanese air raid. Twenty-five Americans waded into just over 100 Japanese planes. It was a slaughter. In minutes, 19 of those 25 were falling in flames. 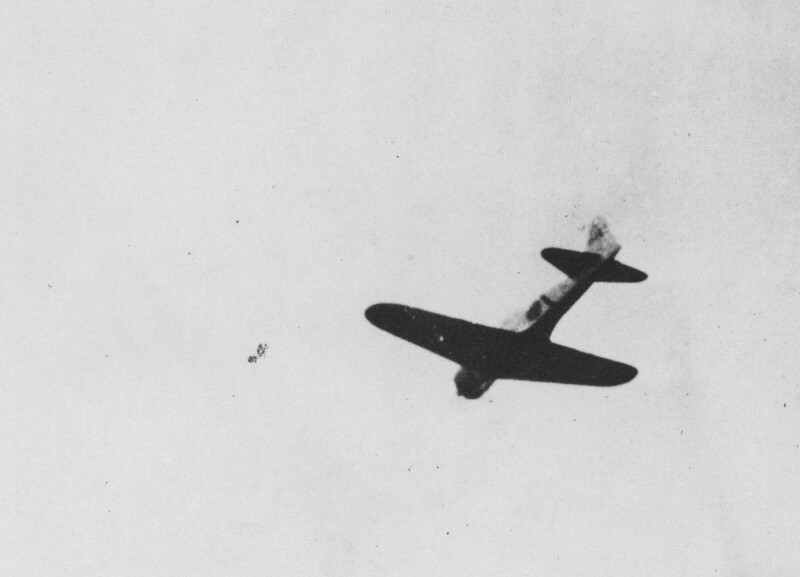 Only Marion Carl’s fighter was fit to fly after the attack ended. Midway’s bombers sped towards the heart of Japan’s naval air power. It would be up to the young and inexperienced gunners to protect their planes from the most skilled fighter pilots in the world. Since Torpedo Eight had taken off from Midway first, Harry’s small group of friends now composed the tip of Midway’s aerial spear. A few miles behind them cruised the Army’s B-26’s. Further back, the dive bomber squadron lumbered along, climbing above 10,000 feet. The dive-bombers would further fragment, dividing into two groups. Midway’s planes were soon spread all over the sky. There would be no chance to coordinate attacks. For an hour, the six TBFs flew along at 4,000 feet as the rising sun cast a reddish glow on the scattered clouds that now dotted the sky that morning. Through the trip, Harry sat deep in 8-T-1’s belly, monitoring the radio. It was an isolated, lonely position. Above him, he could look up and see Jay nestled in his turret. To either side, a small porthole in the fuselage offered his only view of the outside world. With little idea of what was going on around him, Harry would have to rely on Bert and Jay. The feeling of helplessness would have overwhelmed a lesser individual. They had reached the Japanese carriers. Ahead and below were stretched two battleships, three cruisers, and a dozen destroyers. They protectively huddled around the four vital aircraft carriers, of which Bert could only see two. Torpedo Eight was about to make the first American attack on the Japanese Combined Striking Force. To date, only one other attack had ever been made against these ships. Back in April, while operating in the Indian Ocean, a squadron of British Blenheim bombers had found these same carriers. Desperately, the Blenheims attacked through clouds of flak and swarms of angry Zeroes. Not a single British aircraft survived. The Japanese ships weren’t hit. Bert slammed the stick forward and dove for a cloud some distance ahead of them. The other TBFs entered steep dives, hoping to evade the incoming Japanese Zeroes. It didn’t work. Torpedo Eight had stumbled right into the fleet’s combat air patrol. Twenty-nine Zeroes descended on the six Avengers. Following Jay’s warning, Harry swung around and crouched at his .30 caliber machine gun in the ventral window. As he moved to his battle position, he glanced out one of the portholes just in time to see a flaming aircraft plunge towards the sea. Harry grasped his machine gun and searched for targets even as 8-T-1 sloughed and yawed wildly. It was all Harry could do to stay in position through all the crazy gyrations. Above him, Jay’s single machine gun barked. Cordite fumes filled the compartment and Harry could hear the rattle of spent brass bouncing off the turret’s floor. Peering out from under the tail, Harry caught only fleeting glimpses of the raging air fight. Every few seconds, a Zero would slash through their formation, then wing past Harry’s little window as it pulled off target, red rising suns burned hot on its white wings. With his .30 caliber gun, he couldn’t do much damage, but he blazed away at every plane that crossed through his narrow view of the outside world. Then they were hit. It was a terrifying sound, like huge hail stones striking a tin roof. The din was nearly deafening, and the TBF rocked from the impact as cannon shells struck home. They were taking hits everywhere. 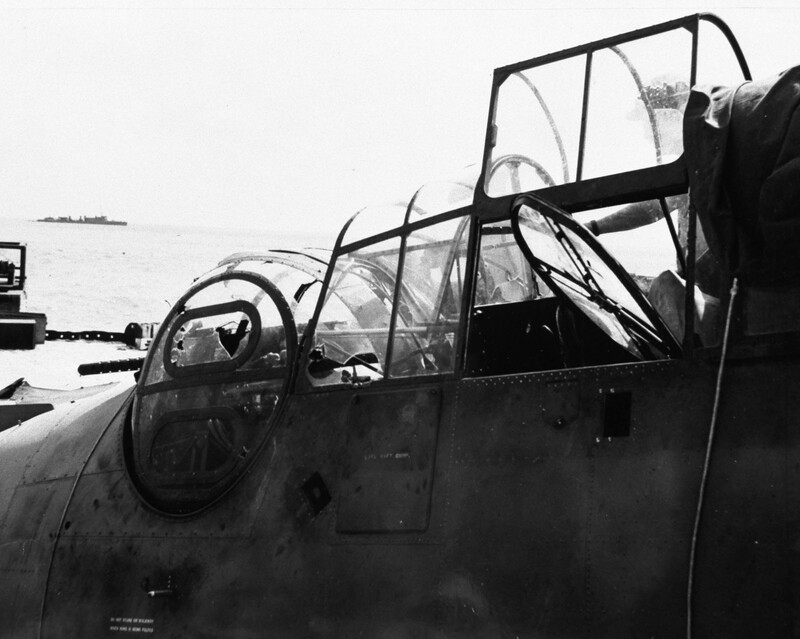 Bullets and shells tore great gouges out of the fuselage and wings, sending slivers of metal through the cockpit. A cannon shell blasted the right side of Jay’s turret into a spray of broken Plexiglas and shrapnel. The thunderclap noise the impact produced caused Harry to jerk away from the gun and stare up into the turret. Above him, he could see Jay hanging limp in his straps, the turret a mess of twisted metal and glass fragments. Blood and gore were spattered everywhere. Blood streaked down either side of the turret walls. 8-T-1 back at Midway following the mission. Bert had the Avenger right on the water now, and as Harry shakily returned to his gun, he could see the individual ocean swells, each punctuated by a crest of whitecaps. They were under a hundred feet now, charging desperately towards the Japanese fleet. The Zeroes came again, relentless and brutally effective. As Harry searched for targets, another fusillade of bullets and shells ripped into the TBF. This time, the enemy fire shredded the hydraulic system. That caused the tail wheel to extend down right in front of the ventral gun. Alone in his tiny metal box under his crippled TBF, Harry lost his only means of fighting back. He was captive now in his own airplane. A flurry of bullets scythed into the radio compartment and Harry’s head was rocked by a hard blow. He spun away from his machine gun, feeling blood pour down his forehead. A moment later, he lost consciousness. In the cockpit, Bert Earnest fought to keep 8-T-1 in the air. The other Avengers were going into the water all around him. One burning TBF pulled briefly alongside his shattered bomber, its pilot gesturing frantically at him. A second later, it was gone, a burning smear of wreckage on the waves below. A Mitsubishi Zero, the most deadly fighter of the Pacific War’s opening months. The Zeroes scored again, blowing away chunks of 8-T-1’s aluminum skin. The stick shuddered in his hand as his control cables took hits. He pulled back on the stick slightly, but felt it go slack just as a cannon shell exploded through the canopy behind him. Shrapnel tore through the cockpit, and he felt searing pain in his right cheek as a sliver of metal clipped him just above the jaw line. Blood splattered the cockpit and his flight suit even as more bullets demolished his instrument panel. Though dazed from the blood loss, Bert realized the carriers were still a long way off. And no a single TBF remained in sight. A glance behind had told him all he needed to know about Jay. His gunner was dead. Harry had probably been killed, too. He was attacking the most heavily defended fleet in the world and he was alone. 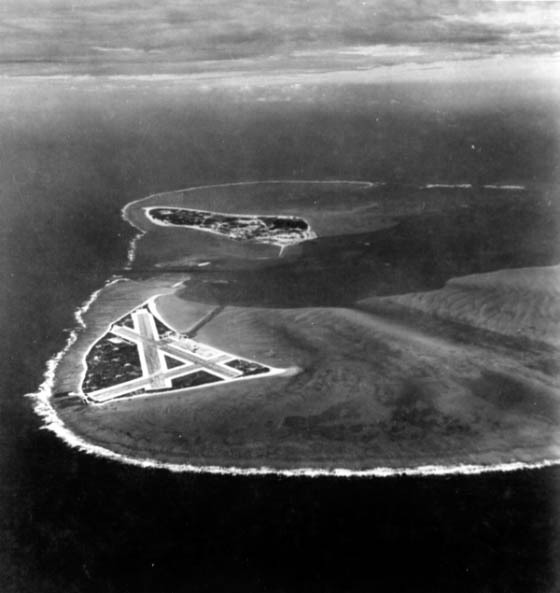 The spear point of Midway’s attack had been whittled away to just 8-T-1. He couldn’t make the carriers. No way; they were too far off. Settling on a what he thought was a cruiser, he lined up on its frothy bow and released the torpedo. Free of its cargo, the TBF leapt upwards for an instant, before sagging into a shallow descent. Bert played with the stick to correct his angle of attack, but got no response. The elevator cables had been shot away. Unable to control the Avenger, he resigned himself to death. He waited for the end as the waves below surged towards him. Then, with about 30 feet left before impact, Bert unconsciously reached down to adjust the elevator trim. In a flash, he realized he could fly the plane with the trim tabs. Sure enough, as he played with the trim controls the Avengers nose rose sluggishly. Limping away northward, two Zeroes clung to his Avenger’s tail even as he cleared the last of the Japanese ships. The two fighters flayed the Avenger with well-aimed fire, but somehow failed to bring it down. A few minutes later, they pulled off target and returned to the fleet. Another shot of a Mitsubishi A6M2 Zero, taken with Mt. Fuji in the background. In the radio compartment, Harry awoke slowly, his head throbbing with pain. At first, he became aware of sounds. The TBF’s rumbling Wright-Cyclone brought him much comfort. At least they were still in the air. He opened his eyes and tried to focus. Through his blurred vision he could see his radio compartment was splintered with shadows, broken by shafts of sunlight shining through ragged bullet holes in the fuselage. As he looked around, he saw his radio had been smashed to junk by machine gun rounds. Blood still streamed down his face, and when Harry became aware of that again, he reached up to find the wound. Gingerly, his fingers found a hole in his forehead. Stunned, he wondered how he could still be alive after getting shot in the head. Then he remembered he’d been wearing a cap. He took it off and examined it. The cap’s bill and front were soaked in blood, while an entry hole had pierced it on the left front side. He let out a sigh of relief when he saw a similar hole in the back of the hat. That had to have been the exit hole. He’d only been grazed. Feeling a little better, Harry crawled forward from the radio compartment into the cockpit seat behind Bert. When he got there, he saw the cockpit was a gory mess. The canopy glass had been punctured by many bullet holes, and now cool morning wind whistled through the cockpit, making an eerie sound that added to the nightmare. With no instruments left, Bert flew back to Midway with luck and dead reckoning. En route back, they spotted a huge plume of black smoke on the horizon and turned towards it. Sure enough, that was Midway, black smoke boiling out of ruptured fuel storage tanks the Japanese bombers had hit earlier in the morning. They came in to land, but men near the strip waved them off. Frustrated, Bert aborted the landing and staggered back into the pattern. They swung around again, only to be waved off a second time. Neither Bert or Harry had the patience for this game. When they wheeled around for a third attempt, Bert ignored the warnings from below and painted the TBF down on the runway. Only one wheel had come down. The other remained locked securely in the wing. Neither Harry nor Bert realized this until 8-T-1 began slowing down. Suddenly, the wing dipped and struck the runway, causing the Avenger to tilt wildly and ground loop. The dying plane skidded to a halt, and as it did, Bert cut all the electrical switches. For a moment the silence seemed overwhelming. Harry and Bert stared out around them as rescue crews rushed to their aid. A sense of utter desolation struck them. They were the sole survivors of their detachment. Manning’s turret after Bert got 8-T-1 back to Midway. Later, Bert and Harry learned just how bad things were. The rest of Torpedo Eight, flying outdated Douglas TBD Devastators had attacked the Japanese fleet from the Hornet about two hours after their fateful run. They went in without fighter cover as well, and the Japanese just shot them out of the sky. All 14 TBDs went down. Twenty-seven men died and only Ensign George Gay survived to be rescued from the sea by a flying boat after the battle. Of 46 men Torpedo Eight had sent aloft that morning, only Bert, Harry and George Gay were left. Harry was the only surviving enlisted man. And this was their first mission. Harry wondered how anyone was going to live through the war if this is what they would face every time they flew. On the strip, the sights of disaster were evident everywhere. 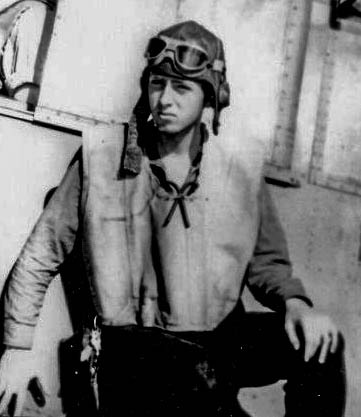 Sumner Whitten, the other New Englander among Midway’s airmen, limped back to Midway in his SB2U Vindicator, but over half his squadron had been shot down. 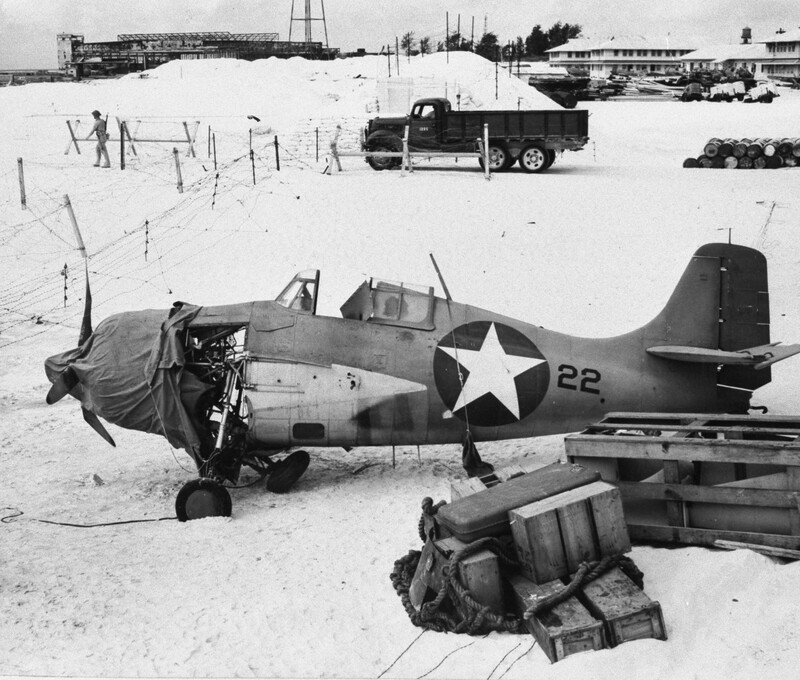 The fighter squadron had been wiped out—only a single F4F-3 Wildcat remained flyable. The B-26s that had trailed the TBFs into battle had been massacred. Two had gone down, and the other two came back so full of holes that they sat for days at the end of the runway, bleeding oil, hydraulic fluid and gas from dozens of gashes. One group tried to count the holes in one of the B-26s, but gave up after reaching 200 on one wing and part of the fuselage. Harry’s own TBF was pulled down towards the beach, where its gear was lowered. There it would sit for the next month like a forlorn sentinel waiting vainly for its comrades to return. A thorough engineering analysis was later done on it. At least 64 bullets had struck 8-T-1, along with nine 20mm cannon shells. The cannon shells probably obscured some other bullet holes, so the real count could never be firmly established. Altogether, over half of Midway’s aircraft went down in that one desperate rush at the Japanese carriers. Harry spent the rest of the day and night of June 4th in the hospital at Midway, where his head wound was treated. Dizzy, his vision still blurred, he lay in his cot thinking of all the friends he’d lost. The stab of pain as he recalled each man forced him deeper and deeper within himself. He would never completely come out of his shell again. The next day, he returned to Torpedo Eight’s living quarters, which were tents clustered near the airfield. Carefully, he went through all the enlisted men’s possessions, cataloging them and packing them up to be sent home to their families. It was the toughest task he ever had to do. Midway, of course, turned into the most remarkable American naval victory of WWII. At 10:30 in the morning on June 4, several squadrons of Navy dive-bombers caught the Japanese carriers by surprise with their decks loaded with aircraft. With just a few bomb hits, three of the four were turned into raging infernos. The fourth would be destroyed later in the afternoon. In return, the US Navy lost the aircraft carrier Yorktown and 144 aircraft. Of the 48 torpedo bombers launched by the American carriers and from Midway that day, only six returned. The price was high, but in that single day, the Japanese lost their best ships and best aircrew. Never again would they be able to take the offensive in the Pacific. Harry Ferrier left Midway shortly after the battle ended. He returned to Pearl Harbor, where the Navy put him up in the Royal Hawaiian Hotel for night before reassigning him to Torpedo Three. A month later, he set sail for Guadalcanal aboard the USS Enterprise. Harry served with VT-3 through most of August, fighting in the third carrier clash of the war at the Battle of the Eastern Solomons. Just as he and his pilot were returning to the Enterprise after a mission, a Japanese bomb struck the ship. Harry’s plane got caught up in the middle of the Japanese attack, and his pilot went barreling after several dive-bombers in hopes of shooting them down. Following Eastern Solomons, he was sent up to Henderson Field at Guadalcanal while the Enterprise returned to Pearl Harbor to have its damage repaired. At Henderson, Harry ended up flying with a reconstituted Torpedo Eight. Miraculously, he drew Bert Earnest as his pilot. Together, these two comrades-in-arms endured the terrible living conditions, dreadful food, dysentery and Japanese shellings that came with the territory on Guadalcanal. Finally, later that fall, Harry and Bert were evacuated. Fifty-five years after the nightmare at Midway, Harry Ferrier returned to the island as part of a team of underwater explorers who were looking for the USS Yorktown. Robert Ballard, the famous oceanographer who had located the Titanic and the Bismark back in the 1980s, led the team that would find the Yorktown. Two American Midway veterans and two Japanese aviators who fought in the battle accompanied the search team aboard the research vessel, Laney Chouest. For Harry, the experience was a painful revisit with memories he had long ago thought he’d overcome. After Midway, he’d moved on with his life. He had stayed in the Navy after the war, working as an electronics expert on various atomic bomb test programs before serving three combat tours in Vietnam as an officer aboard a helicopter assault ship. He retired from the Navy as a Commander after rising from the enlisted ranks not once, but twice. Justly proud of his military career, Harry had overcome so much to succeed in his career and life. On Memorial Day, the Laney Chouest’s crew held a solemn ceremony on the water north of Midway where the two American and two Japanese veterans of the battle came together in a moment of friendship and reconciliation. The ceremony aroused some long-suppressed demons. Harry had lost 43 friends and squadron mates on that terrible day in June, and as they rode the seas not far from Torpedo Eight’s gallant charge, the faces of the men who’d died that day welled up to haunt him once again. How had he survived when so many had not? Emotions long since held in check came flooding out. Allowing those feelings to flow free proved to be a catharsis, but at the same time, it left Harry exhausted and homesick. He had escaped to Midway for a second time. As difficult as it had been, this time, it had helped to heal him.